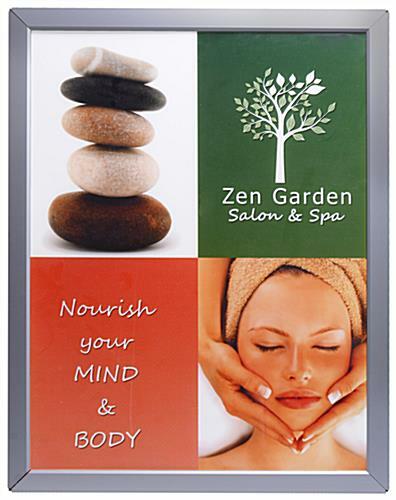 This Large Custom Poster is Printed on Translucent Materials, Perfect for a Light Box! These Cheap Poster Frames are Shipped by the Thousands for our Quick Ship Warehouse! 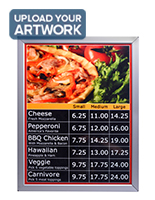 Illuminated Poster, 22" x 28"
This picture frame is perfect for movie posters, business signs, and more. Gain potential clients and customers attention by adding a little light to your most critical information! 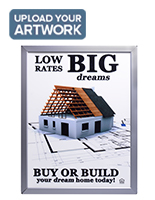 This picture frame is engineered to fit inside of our 22" x 28" light boxes. Produced from translucent materials, this picture frame permits light to pass through, illuminating your images from in the back of. 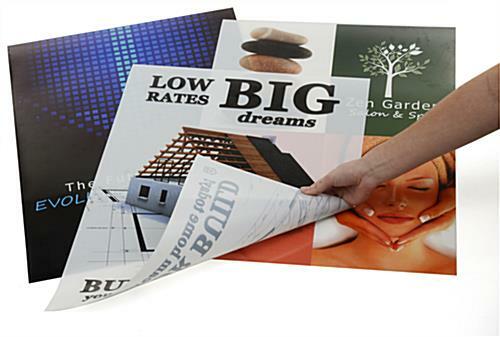 We print your custom artwork onto a 9-mil matte polyester film that diffuses light and heightens the coloring of these images. Your artwork appears sharper, brighter and easier to view in poorly lit circumstances. Made with an eco-solvent printer, these picture frames are rugged, yet environmentally friendly prints. The printer also produces a extremely steadfast print because the inks are allowed to penetrate the material. 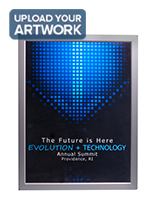 This picture frame works outstanding in backlit and edgelit light boxes. Design Note: When designing your artwork, please remember that many of our light boxes cover a portion of the print at the edges. Keep in mind this may cover a portion of these poster. Quantity pricing is based on the same image on all multiples.